As we get ready for summer, many of us are thinking about taking vacations. 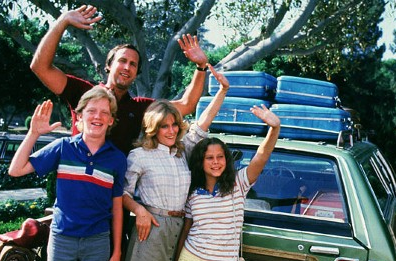 In some cases the vacation will include a road trip with a full carload of people. “Getting there is half the fun”, begins to take on a whole new meaning if the passengers are not happy. You really want to ensure that each person is satisfied to make the trip more enjoyable. All these four components are in place in some capacity in your organization (car). The key is to identify how much of a role they play. As the driver you need to assess what needs to be done for each one of these to enhance the quality of the journey. You need to understand what you want to improve overall. Look at this from the business perspective. While you are always thinking about the big picture from a service delivery perspective start to think about how you can improve on people, process, products and partners individually to make up the whole. Identifying the inputs and outputs will allow us to define who we need to engage, or in this case who or what we need in the car to fix this issue. Just because some parties may not be vested in this improvement initiative today doesn't mean that we don't need them tomorrow. Much like a screaming toddler in the back seat who is looking for a cookie while we would like them to just be quiet we need to identify the issue (cookie) and satisfy that need. In some cases we may have that passenger that just is no longer a fit in the grand scheme of things for our improvement initiative. A particular component within the 4 P’s may need to be augmented or removed so, like a nagging uncle in the car we might just leave them at the truck stop. Ensure that we have open lines of communication and that all the improvement activities are transparent to all stakeholders. There should be no secret that we are looking to make things better. This goes for IT as well as your business. We have application “ABC” which needs to have major releases regularly every 6 months. The business has had some challenges with this. In their words “we don’t want this system touched” the driver for this is that they are working on a project with a client of theirs and they are worried any changes could cause this to so awry. They need “ABC” up and running all the time operating the same way until the project has been completed this fiscal year. In the beginning IT had complied however as projects tend to do the launch dates were pushed out and as such so has the ability to update “ABC”. IT is now at a point where we are several releases behind from the application perspective and some of “ABC” integrations to other applications are not working as they should. This has been attributed to the fact that the application is not updated. Now IT is starting to see incidents regularly because of that releases we have not done. People – will involve the people providing the service as well as the people who consume the service. In this example there was a team who were using the application which ultimately impacted clients, who, as you guessed it, are also people. Process – make sure that our process is measurable and is managed by an appropriate level of people. This should include people (or in some cases a person) who owns, manages or carries out the process itself. Product – we need to ensure we are positioning ourselves to deliver service based on the stability of the services (in this case application ABC) we provide. Partners – make sure that we work with your suppliers. While we may have partners from an IT perspective, IT may also be a supplier as it applies to client facing support as in this example. Overall taking a look at your people, process, products and partners from another perspective is just one component of continual service improvements. Doing this will allow to see if you have everything you need in your car for the long trip ahead.